For the next 9 Weeks, I will post daily workouts from the "Indestructible!" workout section of Just The Workouts. This week is "Week Zero", meaning its a transition week between the last 4 weeks and the next 8. There is no official "Week Zero" in the JTW guide, but I thought for the sake of ending on the last week in November with Week 8, having an off-week of other stuff to do might be ideal to do this week. Hence, its called "Week Zero". It will be a good bodyweight, barbell/dumbbell/kettlebell mixed routine to go through this week, something light and refreshing on the body. Just a quick post today on the ending of the Long Cycle Challenge for September. Friday I was pretty well beat, and after looking at my log book, I had done a LCC workout for 10 out of 11 days, and the off day was a 5K race day, too. My body basically said "take a break", so I did. I was at 4200 at the end of Thursday for total clean & jerks with the kettlebell. Today was a finale to it all, as I got up to 200 reps and fell into a nice groove to get another 100 in and do a total of 300 straight with the 35# kettlebell, in 20 minutes time. 4500 reps total for the month of September and for the challenge. I plan to take the last 2 days off here and rest up for a 'mega challenge' I am prepping for in October through December to finish out the year. Overall, when I first started this challenge, the 20 seconds work, 10 seconds rest format was a good way to build into things. It allowed me to rest between sets and get used to the repetitive actions. After a few days of that, I decided to do it continuously, 5 reps per arm & switching each time. I averaged about 15 reps/minute, making it easy to figure out how long workouts would take if I kept up that rhythm. 150 would take 10 minutes, 200 about 13 & a half. 100 was just 6 and a half minutes. I varied a bit here & there between 30, 35 and 40 pound kettlebells but overall, the 35# one was my staple. Towards the end it started to feel lighter, but the volumes were up so I was focused on the volumes. My total weight didn't change much, but I felt I dropped some fat and gained some upper body muscle in the process of it all. A lot of cleans really works the biceps over time, plus the pressing of the Jerk action really gets the triceps too. I didn't do it as an arm workout, it was a pretty good full body action with the lower body enabling everything else, the arms took over and did their work for the clean & jerk portion. My abs & lower back had to continually flex & brace things for each rep, so they got targeted as well. The big "what the heck" moment was in my running, as I had a race on the 21st and also a tag team race where I did 2, 1-mile runs in about 6 minutes each. My 5K time was a 6:45 pace when I factored in my time and how short the course accidentally was: 18:30 for 2.74 miles is about a 6:45 minutes/mile pace. August's challenge was Cleans and doing my track workouts, so with just Long Cycles and a couple races this month, I was pretty impressed how well my running went. I have always felt that Kettlebell training has been a secret weapon of mine and it has helped me improve and bounce back from injuries when they occur. This next challenge is going to take 90 days to do, basically four, 3-week phases. I am not sure how much I will share on the blog because I want to really see how well this challenge goes for me before I publish too much about it on the blog. Overall, look for a Long Cycle Challenge guide to come out in the future, covering in detail how this last month went. Until then, grab your copies of my other 2 KB challenges, "Just Swing It!" and "Just Clean It!" right here: http://tinyurl.com/rkofp or at the top of this blog's page with the links provided. 150 Days Til Track - Freebie Weekend! Yesterday was officially 150 Days Til Track Season... so I want to celebrate a bit. 5 Months to go... plenty of time to read up and gear up for your pre-season workouts! "Track Attacks" is a guide on adding a little extra to your workouts down at the track or after a road run, finishing on some quality speed sessions of 100, 200, even 400 meter efforts. With "The Acceleration Code", I cover the cutting edge techniques used with GPS speed monitors and apply it to your running. You will also get some power developed with a few kettlebell workouts provided, too. I know drinking soda for athletes is both frowned upon, yet impossible for some athletes to fully cut out of their routines. After discovering the SodaStream for myself and cutting my soda intake in half, while saving a lot of money in making my own soda creations, I created this guide to help others do the same. As a former 100 ounces or more per day drinker, I cut my intake down to about 50 ounces in a matter of a few days, and took in a lot less calories in the process too. No workouts here, just some recipes to use with various SodaStream mixes to create your own awesome flavors to enjoy. 30 min TABATA - 20 sec Doing Exercise, 10 sec Rest - Do this 8 times, then switch to the next exercise. 5 months of time to go. If you don't know, as a track coach, I have been keeping a countdown going each school year for the last few years as a fun little way to build up excitement for Track Season. So, I get a bit jazzed up as we get closer to Track. This Saturday & Sunday, you will be able to get 3 of my Track-themed guides for free on Amazon's Kindle Store. Plus.... I'm putting up another 2 days of freebie giveaways for my #1 freebie guide, "Super Sodas"! If you caught my earlier post, I put up the RABC workout routine for Day 3 as an pre-scheduled post. 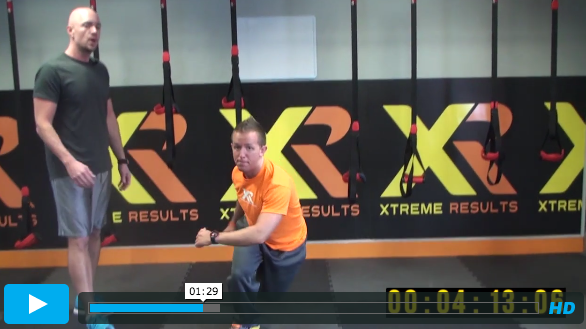 This post has the current FitRanX HQ Workout of the Day, plus an update on my LCC workouts. Long Cycle Challenge: I'm taking it day by day, and felt like a routine today, aiming for 200 reps once again with the 35# kettlebell. 5 reps/side in a continuous fashion. It feels like the same-old workout, which is pretty much is, but its a good endurance builder overall, taking 13 & a half minutes each workout. I'm still feeling like its a great workout by the end, like its just the right amount of everything. I may mix it up and go for 250, then 150, over the next two days, perhaps 150 then 250 to break it up a bit. I'm trying something new with this post, trying to schedule out some RABC workouts in advance so that they automatically pop up throughout the week as their own post. Today's Rats Alley Workouts come from FitRanx and another workout for the LCC. Long Cycle Challenge: I went through another 200 reps today with the 35# kettlebell, reaching 4,000 for the month today. I'm kind of at a quandary: I aimed for 4,000 and have 5 days left, so I am pondering on trying to get to 5,000, with 200 a day to keep going. However my body is feeling sore when I start, but fine after the workouts... and I am pretty much just doing KB C&J's for my workouts now. I think I will take it day by day and shoot for 5,000. Today's Rats Alley Workouts are from the RABC Manual, FitRanX, and a LLC workout, too. It's another day in the LCC, and another 200 rep workout with the 35# kettlebell. This is a pretty common routine to get through the challenge for me. I'm now up to 3800 total, 4000 is easily within reach and 5000 is something to aim for by the end of the month. 5 reps per side & switching is just the right number, its not too few, and not too much, to keep going from side to side in this manner on the way to 150-200 reps.
Have you checked out the Burpee Challenge workouts yet? RABC Special Report: On Burpees! You know how big I am on challenges, especially for kettlebells. Well, I just found out about a new challenge routine that trainer Shawna Kaminski is releasing today, and having a sale on for a limited time. What's great about the Burpee Challenge is that it's an exercise that can be done in 3 seconds, use & activate over 600 muscles, and burn up to 62 calories in 5 minutes of time. That's 12 calories/minute - right up there with running intensely! I know I'm getting this routine, and I think you should take a serious look at getting it, too. RABC Warriors are always up for a challenge, as proven by the best sellers you buy from here, such as "Just Swing It!' and recently, "Just Clean It!". This package of guides isn't just workouts of burpees, but different variations of burpees to try out and do. You'll learn how to avoid doing too little burpees, doing too many burpees, and how to strategically place them in your workouts. Daily RAW: FitRanX, LCC, 90 Day Challenge? Today's Rats Alley Workouts are from FitRanX HQ and two updates on the LCC, as I'm into the last days of it this month. Sunday's workout was 200 straight reps, 5 per side as usual, with the 35# kettlebell. I'm keeping a solid pattern of 15 reps/minute, so each 200 rep workout is taking 13:20 to do. Today's workout this afternoon was basically a repeat, aiming for 150 and finishing out with 200 reps as I felt really good after 150. 200 reps is about my magic number, as I'm tired but somewhat fear that anything further could cause some issues, such as a pulled muscle or a tweak somewhere. This puts me at 3600 reps for the month, 4000 is well within reach, but it will take an average of 200 each day to finish out the month with 5,000 reps total. I am going to take it day by day, and see how close I can get. As I near October, I am strongly considering a mega-challenge over 3 months to do with kettlebell swings. My racing season is pretty much done, so I could be able to focus plenty of this type of challenge. Kind of keeping it a secret, but it is a carefully planned and plotted out workout routine that I have developed. Today's Rats Alley Workouts are from the RABC Manual, a Long Cycle Challenge Update, and a little bit on the most likely my last 5K for the year. Long Cycle Challenge: Last Friday, I clipped off another 200 reps, but this time I deloaded a bit and did my first 100 with the 30# (10 reps per side), then 100 with the 35# KB, (5 reps/side). I took Saturday off from the Long Cycle workouts, 6 straight days of it was plenty. Besides, I needed fresh legs for my final 5K (I think this one was a good one to end on!). Farmers Bowl 5K: I took in my alma mater's Farmers Bowl 5K at Mayville State University on Saturday morning. It was a cool 37 degrees at race time, but no wind at all and it made for some pretty smooth racing. I started out in 1st after the first 1/4 mile or so, (no GPS on for this race for me) then after the first mile or so, roughly 6 minutes on my watch, I had a guy pass me just a bit. We ran in downtown Mayville and I had a pretty good hill to climb back up, after that I was passed by another guy to move me to 3rd. The leader was about 50-75 meters ahead of me, the guy in 2nd within striking distance, so I kept my pace and told myself to go hard after a certain point on the return route. I passed the guy in 2nd with a nice kick but fell short in my attempt to close the gap on #1, I sprinted too late in my opinion. The course was also shorter, by accident, so that really left me telling myself that I should have went sooner, way back where my old dorms were at on campus. All in all it was a fun race though, I felt really good, legs felt great all day after the race, and I caught up with a few people after the race. It was a very fun day with a bowl parade, hot dog & corn cob feed, plus a routing of a game with the Comets on top, 46-0 as the final score. I really enjoy going back to my old college for games of any sort, its only 25 minutes away and the atmosphere is great for small college athletics. Today's Rats Alley Workouts are from the RABC Manual, a LCC update, and a Workout Finishers 2.0 update as well. Today was another round of 200 reps with the 35# kettlebell, switching every 5 reps on each arm. I tried a new breathing technique I found, and it went even smoother. It was a quick inhale on the Jerk portion of the lift, with a quick exhale out as I lowered it to the rack position. Much easier to get into a pattern with this breathing technique. Workout Finishers 2.0 by Mike Whitfield is going very well from Mike's standpoint this week, and his Workout Finishers library of exercises has plenty to offer you for something to add to the end of your workouts. This is the same concept that I use in the RABC program with the '2 Minute Warning' & '3 Minute Warning'. http://occupyfirstplace.com - Home of 99 cent training guides for your Kindle! Here is a special free video pertaining to the Workout Finishers 2.0 package that you may have an interest in, to add a little extra to your workouts. Never hurts to have more tools in the toolbox like Workout Finishers can be! The secret behind this "finishers" approach is density. burns more calories to return to a normal state. finisher based on your specific "trouble spots". If you haven't checked it out yet, give today's Special Report a quick read. Even if you don't want to buy Workout Finishers 2.0's package deal, (a great one by the way) it still has some great info from Mike Whitfield in there. Today's Rats Alley Workouts are from FitRanX and another LCC routine. I will also update you on my new challenge I am preparing. 30 min TABATA - 20 sec Doing Exercise, 10 sec Rest - Do this 8 times,then switch to the next exercise. Long Cycle Challenge: 200 a day seems to be about right for me this week, as I went with the 35# kettlebell again and did 5 per arm, for 200 total for the workout. Physically, I am feeling a lot stronger after 6 weeks of cleans and clean & jerks (30 days of cleans in August, plus 2+ weeks this month of C&J's). After the first 2 weeks, I feel like I'm falling into a great groove here and things are going smoothly in the workouts themselves. Yesterday I started typing out my 90 day challenge plan. This is quite the process of calculating out exact volumes and workout volumes per workout.... 48 workouts are planned over the 90 days. I have 4 different phases to go through, 3 weeks each. I love how this is working out and lining up. I may look for test subjects who are willing to fully go through this challenge, or even some portions of it, as it has those options too. Its one mega-plan that could be separated into many different ones, making it pretty unique in that way. I have more brainstorming to do on this, so stay tuned to the blog for more updates on it. If you haven’t heard of Mike Whitfield, his unique approach to metabolic finishers has been seen in the Mens Health Big Book of Getting Abs and the Mens Health blog. But that’s not his greatest feat. The guy has lost 105 pounds! He uses these high intensity finishers that you can “plug in” with any workout and they have helped hundreds of private coaching clients and thousands of online readers lose 5, 10, even 20 pounds and more with no cardio, including 6 Transformation Contest winners, with thousands of people voting. Plus, you’ll discover all 119 exercises he uses inside his brand new follow-along system. But there’s more to “finishers” than just a way to replace cardio and intervals. I asked Mike to give me more ways to use finishers to get 4X more out of your workouts. Enjoy! Unless you’re ONLY doing cardio for fat loss (and certainly hope not), you’re either on a full body workout schedule or a form of an upper/lower split. First, let’s take a look at the total body schedule. This one is an easy choice. Simply pick any finisher and plug it in. However, if you want to define your upper body more (shoulders, arms, chest), then choose an upper body finisher to hit those trouble spots. It’s a great way to “sneak” in volume without having to sacrifice a lot of time. Having trouble with the thighs or looking for leaner, firmer legs? Hit a lower body finisher. The variety of set and rep schemes with the short rest periods will give your body a stimulus it’s never experienced. That’s where the definition comes in. Now, if you’re on an upper/lower split or something similar, there’s a few of things you can do. If you’re trying to lose fat faster, you could easily plug in the OPPOSITE muscle group finisher. For example, if you’re on an upper body workout day, you could polish off your workout with a lower body finisher. That means you’ll hit your whole body, activating more muscle groups. That means more calorie burning. Another benefit of using workout finishers is you’ll see more defined muscle because you use more resistance than traditional interval training and because of the disturbance on your metabolic systems with the unique set and rep schemes. But to get even MORE benefit with the finishers, you can create HARDER muscle by working the same muscle group as you do in your main workout. For instance, if you do an upper body workout, you could easily plug in an upper body finisher to produce more volume. And because of the way they use “metabolic stacking” (more volume in less time), you won’t run into overuse injury. That means you’ll get harder muscle, giving you a more chiseled look (again, something you won’t find with interval training). Yes, you will be surprised that finishers are 10 minutes are less, but remember to look at the studies. When using metabolic stacking like density, you can speed fat loss, improve conditioning and even dominate your workout performance by putting such a unique stimulus on your system. What you may not understand until you put these finishers in place is what it does MENTALLY. These finishers speed fat loss; sure. But it’s more than the calories being burned. When you take 15 minutes to get to the gym, and then another 30-40 minutes to do your “cardio”, and finally another 15 minutes to come home, that’s over an hour wasted on your day. That’s mentally draining and it takes time away from your friends and family. This can easily lead you to poor food choices. I’ve seen this happen with my clients that did this before using finishers. Plug in one of these quick finishers instead and you’ll be rejuvenated, helping you make smarter decisions. I recommend you knock it out in the morning or mid-day instead of going for the second cup of coffee. Sneaky Trick # 4 – You Can Create Your Own Workout! This is perhaps the newest discovery of workout finishers. You should see the success stories of people just like you who are doing this very approach. Pick at most 4 finishers when using this method. Even then, that’s being aggressive. I personally wouldn’t do anymore than 3. Remember, your body is taking in a lot of volume in a short amount of time, so finishers are MUCH more intense than standard workouts. You will want to rest for 2 minutes between finishers when using this method. Pick your finishers and go after it. You’ll experience INSANE fat loss, but this is just a warning – this is very HARD work. This way, you’ll hit the total body with the density finisher, and then you’ll hit your trouble spots with the other two. If you’re crazy, you can add one more finisher. This is what I did with my private clients – use a finisher after your main workout PLUS for the next 7 days, work through one finisher on your off day as well. This will boost your overall metabolic rate. That will let you make up ground fast from your weekend binge (and don’t worry, we’ve all done it!). That’s amazing he has lost 105 pounds and has kept it off for so long. And now he’s showing you how he and his hundreds of success stories have been able to lose fat with just about any workout program you enjoy and plugging in these fast and fun finishers. Definitely read Mike’s story of his big “a-ha” moment when he realized he had to do something about his life. You can probably relate to him. You’ll see his struggles and how was able to lose 105 pounds. Today's Daily Rats Alley Workouts come from FitRanX and another Long Cycle Challenge workout. Last but not least, another RABC workout routine is on tap, too. 30 min TABATA - 20 sec Doing Exercise, 10 sec Rest - Do this 8 times ,then switch to the next exercise. It was another repeat of the last workout, doing 200 reps straight with my 35# kettlebell. Switched every 5 reps as I usually do. This took about 13-14 minutes to complete. This brings me to 2600 reps total for the month, and I feel like I can keep going. My body is feeling used to the multiple reps now, more than it was in the early part of the challenge. "Just Swing It!" is clearly my #1 top seller now, and its success is leading me to create a unique kettlebell challenge for Swings. Not just 30 days, but a 90 days one, which will be specially periodized and planned out based on volumes. Look for this guide well down the road. It may be a few months, but its going to be great to try out as a true, focused challenge. Today's a brief post of Daily Rats Alley Workouts. First on tap is the Long Cycle Challenge, followed by a FitRanX routine. LCC - I went with another 200 reps tonight with the Long Cycle (Clean & Jerk), switching arms every 5 reps and just going continuously. I feel like I get into such a rhythm here with the LC's that 5 per arm is just about right where I get enough in and not too fatigued. Its a great endurance builder. I also did it with the 35# kettlebell. This makes 2400 for the grand total for the month. I am also spending some time planning out some new KB challenges, using a special planning formula I have based on workout volumes. This could be something really, really great. Today's Daily Rats Alley Workouts come from the RABC Manual and a Long Cycle Challenge updated workout. I took Saturday off due to illness, I still have a cold that is lingering today but put me out of it on Saturday. Today I got back after the Clean & Jerks with 200 straight with the 35#, a short break for water, then another 100 reps with the 30# bell. 300 in all, 2200 total for the month so far. I've hit the halfway point of the month so I think 4000 is approachable, maybe 5,000 if things go real smoothly. I am able to handle 200 reps straight now with the 35# kettlebell, switching every 5 reps, and really falling into a good groove with that rhythm. I think I could get 200-300 in a workout day now, since I just did it today by mixing in the 100 reps with the 30# bell at the end. Been a busy week this week, had a Tag Team Relay race on Thursday night, Friday we had country singer James Otto performing in town, who has local connections here with family (really special night for the community here! ), so I had just a fair amount of time to get in some races and workouts. The Tag Team Relay Race was a concept I came up with last year and had the first one in town here during my friend Brad's customer appreciation weekend, called HeggyFest. Brad owns a lot of businesses in town, and is a runner as well. We have both raced some 5K's in the area together and he wanted to do a race for HeggyFest's activities, so I came up with the Tag Team Relay. The Tag Team Relay is a 1 mile course that you do with a tag-team partner. The first person runs the first mile, then tags their partner at the start/finish and the partner finishes the 2nd mile for the total race. We did it last year with male, female, and co-ed teams. male teams and female teams raced first, then we did the co-ed race to end it. We ran it on a 1 mile loop throughout Finley last year, but had to change the course this year due to the stage going up on the old race course's route downtown, for the James Otto concert. We put it at the school and an out & back course of relatively the same distance, this time just with more hills on the route for more of a challenge. We had 9 teams compete, 2 Male, 3 Female, and 4 Co-Ed teams. My guys team won the Male division and my Co-Ed team won that race as well. My partner for the guys team was Jeff, who recently took up running and ran a very solid 7 minute time on the 1.03 mile course. I had 6:20, which felt great for me. My Co-Ed partner, Leah, is an old high school friend that ran the Co-Ed race with me last year, so we are now 2-time champs for that. It was a great night for running and I think everyone had a fun time. I didn't do a Long Cycle Challenge workout on Thursday due to the race preparations, so I got one in on Friday. I went for 200 straight reps at my own pace, with the 35# kettlebell. Averaged around 15 reps a minute. Was aiming for 150 reps at first, but felt like I could go another 50 once I hit that 150 mark. It was just a really, really good day to fall into a groove with the C&J's, one of those days you just feel strong, and getting stronger as you do it. I am now at 1900 reps for the month. 4,000 is looking like a better goal to aim for instead of 5,000, since I noticed over the last 2 weeks that even 3 straight days of varied volumes each day still warrants a day of rest in there. FitRanX Workout of the Day comes to you from yesterday's post that HQ put up. Been pretty busy in recent days, got in some workouts but no time to really blog on it or give some other workouts with the RABC stuff. Here is the one for today that I should have put up yesterday, and then one for one I might not have time to get up on Friday. Like I said, its been busy and I have a race to direct (& try to race in, too!) on Thursday night as well. Yesterday I had just enough time to get in 100 reps, with the 35# kettlebell, and did them in a straight set. This brought me to 1500 reps for the month so far. Today I was aiming for 100-200, and chose a 30# weight to use. After 100, it felt that I could do another 100, so I clicked off another 100 to end with 200 total, done straight through once again. This brought me to 1700 total. I'm going to take off Thursday due to the race that night, where I will be doing 2 legs of 1 mile each for a guys-only race and then a co-ed race after that. Here's a FitRanX Wednesday Warrior Workout of the Day for you, to end the post with. Just about anyone can do this one, mostly bodyweight stuff to do. Today's post is a brief one, done via my phone, since I can not seem to get a post up through the regular site. Today I did another LCC workout of 200 clean & jerks, switching arms every 5 reps, and doing it all in a row. I aimed for 150 but felt I could go some more and get another 50 in. Did them all with my 35# kettlebell as well. In other news, Just Swing It!, is now my #1 seller out of all my guides, surpassing Just The Workouts today. It will most likely keep the top spot for a while. Thank you if you have purchased any of my guides. If not, see what I have for you at http://tinyurl.com/rkofp for your Kindle readers and apps. That is all for now, if the website works to post later, I will try to get a post up with the FitRanx routines. Today's Rats Alley Workouts are from the RABC guide, FitRanX, and another LCC routine. Yesterday, I totally took the day off from running, cycling, & kettlebell stuff. Any running I did get in was some short bursts of it as I cheered on some XC runners at a meet. Today's Long Cycle Challenge workout was a challenging one, as I went for 200 reps straight through with the 35# kettlebell. I alternated every 5 reps per arm, so all in all it was 20 sets of 5 per arm to get through this one. Total time was about 16 minutes to complete, as I paced myself throughout, getting about 13-14 per minute as a pace to go by, but after a while, you get more focused on finishing and not so much about what time its all completed in. Taking the day off on Saturday was good, as my last workout was really Friday afternoon and waiting until Sunday morning gave me a good day & a half of rest between workouts. If the weather looks good this afternoon, a nice bike ride may be in order. Yesterday's Long Cycle Challenge workout was getting 150 reps in, to get 1000 C&J's done in the first 6 days. I went with the 35# kettlebell, and did 5 per arm, all the way up to 150. I was averaging about 15 reps/minute, so I got this workout done in about 10 minutes time. Things went smoother than I thought, the first 100 reps flew by, then the next 50 I slowed down the pace just a bit but kept on pretty well. I may just take today off and do some random running while at the XC meet today, and perhaps a good bike ride, mainly to take a break from the lifting. I'm discovering just how taxing C&J's are to the body, so an adjustment may be made here for the overall goal, maybe 4,000 is better to have as a goal for the month instead of 5,000. I also came across an old file I was searching for, where I had a special formula developed for varied volumes in workouts with running, but the same formula can be applied to KB training volumes of reps. I'm going to study this some more and see if I can apply it for the rest of the month somehow. Thank you once again for buying my Kindle guides in recent months, I am still amazed at the response they are getting. My latest guide is just a week old and selling as much this month as my #1 overall seller, "Just The Workouts". "Just Clean It!" is getting off to a great start. "Just Swing It!" is still on pace to surpass JTW in a matter of days as the overall #1 seller. Its a fun little 'race' to watch these guides each day on their sales totals, because the more they go up in sales, the more people are getting some quick, key information on workouts and challenges they can do. We both win when you can get some workouts you desire and I supply them for you with these guides. Check out JCI right here, as the JCI challenge outlined in the guide is something you can implement right away, and not quite so intensive as the 10K KB Swings Challenge that's covered in the JSI guide. Still, its a fair amount of workouts to do on an almost daily basis, but you really get into the groove of getting KB Cleans down with all those workouts. Plus you get the benefit of still being able to do your own workout regiments if you are into running, cycling, both, etc. Just The Workouts - http://tinyurl.com/asapjtw - Home of "KettleBolics" and "Indestructible!" programs, all in one source. A great read for classic strength training programs with "Indy" and some great kettlebell power workouts with "KettleBolics". No pictures, just the workouts, as the title goes. The Daily Rats Alley Workouts today are from RABC - Week 1, FitRanX and a Long Cycle Challenge workout too. Today's LCC workout was for 200 reps, but with some lighter weight in the mix. I did 50 straight (5 each arm x 5 times/arm) with the 30# kettlebell, then 50 straight with the 35, and finally, 100 straight with the 30 again. I felt the need for a lighter weight today, and I am starting to consider rest days and a lower workout volume goal. I am noticing quite the taxing of my lower back a bit, not that its super sore, just mildly bothersome but something to warm up and work with. Didn't notice it after the workout, but about 12-18 hours after the workout, things in my lower back were starting to get some DOMS (Delayed Onset Muscle Soreness). The lighter weight allowed me to still go through the workout and take some load off. Friday just may have to be a rest day, as 5 straight days of Long Cycle actions might be too much. Things are going well this month with my Kindle guides, "Just Swing It!" is selling so well, it may surpass "Just The Workouts" in overall sales and grab the #1 spot very soon. Today's Rats Alley Workouts are from FitRanX HQ and a workout from the LCC (Long Cycle Challenge). FitRanX HQ's workout today is the famous Wednesday Warrior Workout! We are starting our own WWW's in Finley, tonight, at 7pm. Contact me if you plan to come! I came up with a name for the Clean & Jerk kettlebell challenge I am doing this month, simply named the "Long Cycle Challenge". The Long Cycle name comes from the American/World Kettlebell Club's name for it, which I came across a number of years ago. I'm sure its been called this for years before, but Long Cycle just seemed like the right name for it, since it feels like one, continuous cycle of activity with the clean and jerk for each rep.
Today's LCC workout was 150 reps with the 35#, and I tried to do them all in a row, switching every 5 reps. I was able to get all 150 in within about 10 minutes of time. I was expecting to get tired but I really fell into a good workout groove during it, as things went pretty well. If you are in/around Finley, I hope to see you tonight at Finley Wellness Center at 7pm for Wednesday Warrior Workouts! Once again, contact me if you plan to come, I want to plan things out well for the group that comes to train. Thanks! Today's Rats Alley Workouts come from: FitRanX, The RABC, plus some news on Turbulence Training being launched with a new version, too. Craig Ballantyne's Turbulence Training program has been quite a success since its inception years ago. Today, he launches his newest version of it, and takes it to another level. Yes, I think its better than P90X (having done it in the past and sold the program.... Craig's programs are more ideal and less time consuming). workouts became boring and I was becoming complacent." TRUTH about this one exercise that you must NEVER, ever do again. home without expensive treadmills or elliptical machines. exercise you should never do again. Ballantyne's new 30-minute fun, fast, and effective workouts. in my waist and added an inch to my chest." is even better for your body than this type of exercise. your stubborn belly fat problem.